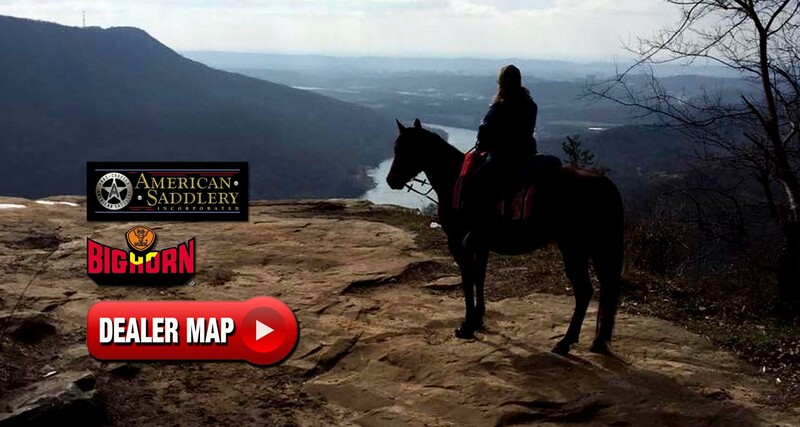 Trophy Saddle Services - American Saddlery Combining Quality Craftsmanship & Modern Equine Industry Innovations to create your favorite Saddles. 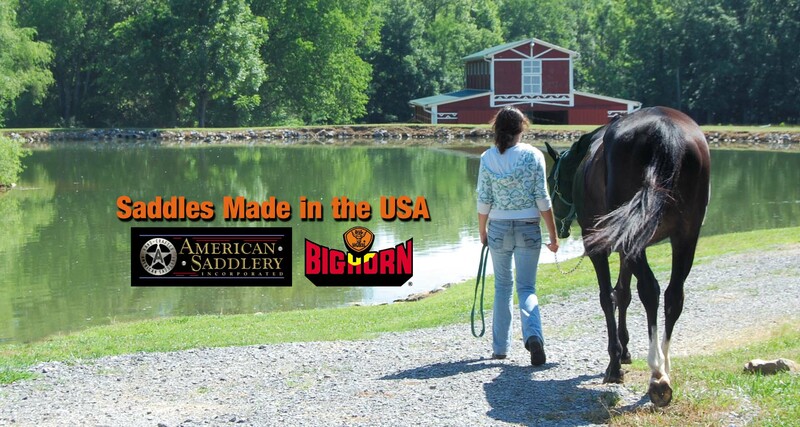 Made in the USA SaddlesHandmade - One at a Time! 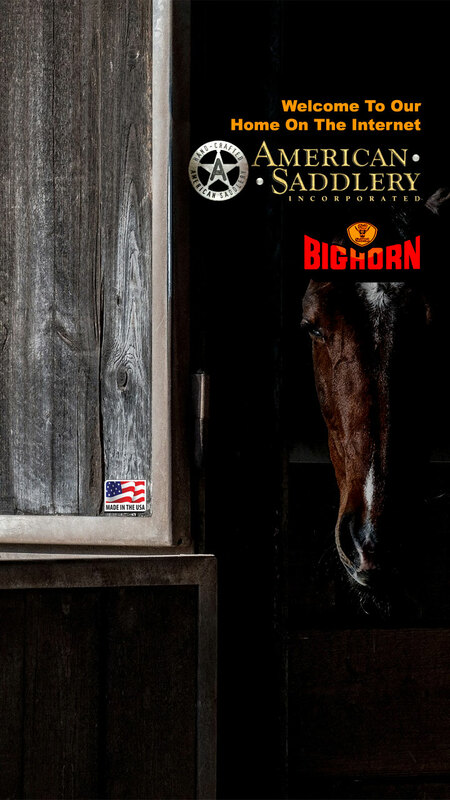 Handmade Big Horn and American Saddlery saddles that fit the rider and the horse to give you both a comfortable ride as well as classic looks. We are more than just saddles! 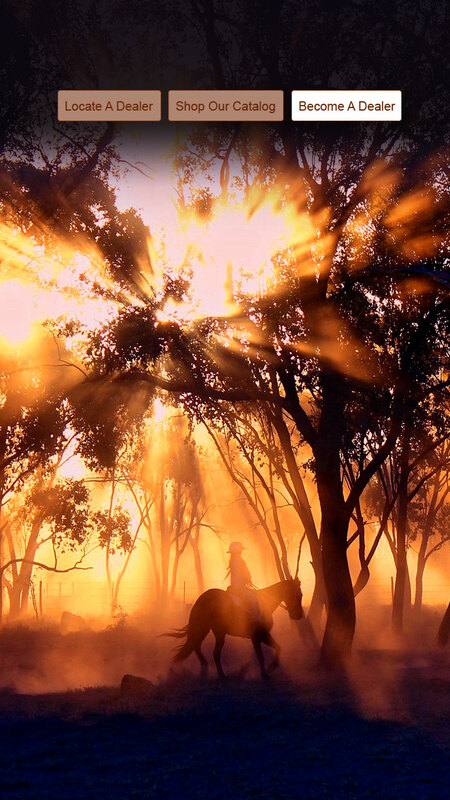 We carry Saddles, Tack, Bits, Spurs, Hardware, Stable Items and leather. Visit us on Social Media for interactive questions and answers, see what is going on behind the scenes, find out when we are appearing at trade shows in your area and more! 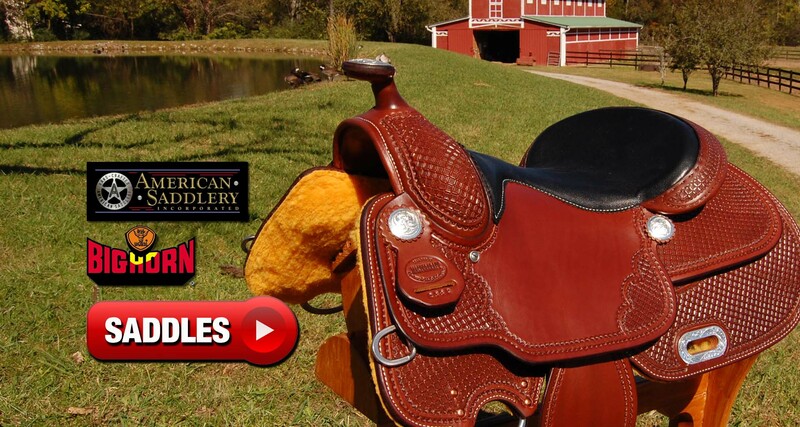 Looking for Saddles and Tack for your retail store? We carry so much more; Saddles, Tack, Hardware, Pads, Sheets, Blankets, Grooming Items, Barn & Stable Supplies, Horn Bags, Saddle Bags & Much More! These are just a small sample of some of the items that we can supply to your retail store and customers. 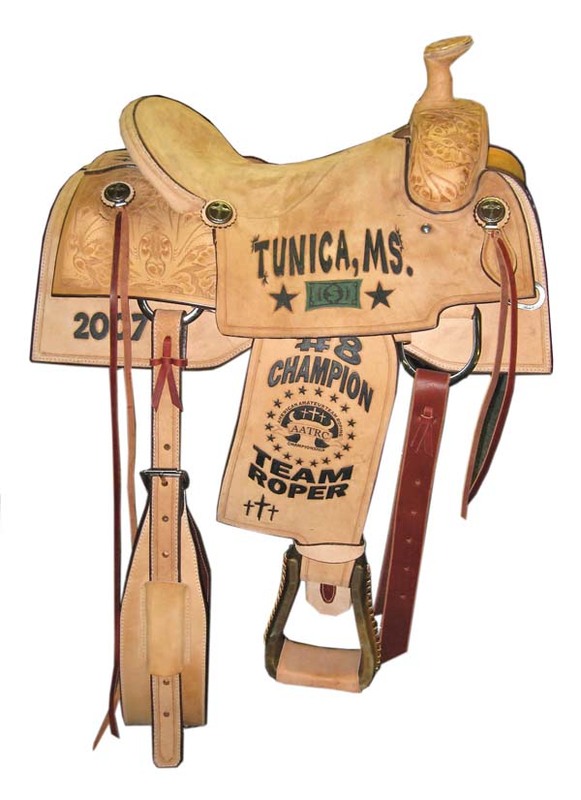 Need a Trophy Saddle? 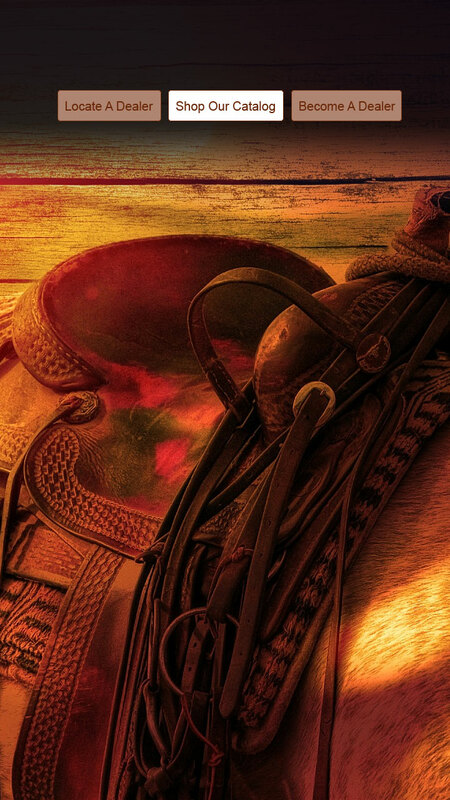 We can supply your event, organization or rodeo with Trophy Saddles on a wide variety of Big Horn or American Saddlery Saddles. Plus, a growing number of customers are using trophy style saddles for private ranches, corporate gifts, retirement or award use. - Discounts to organizations and riding clubs! 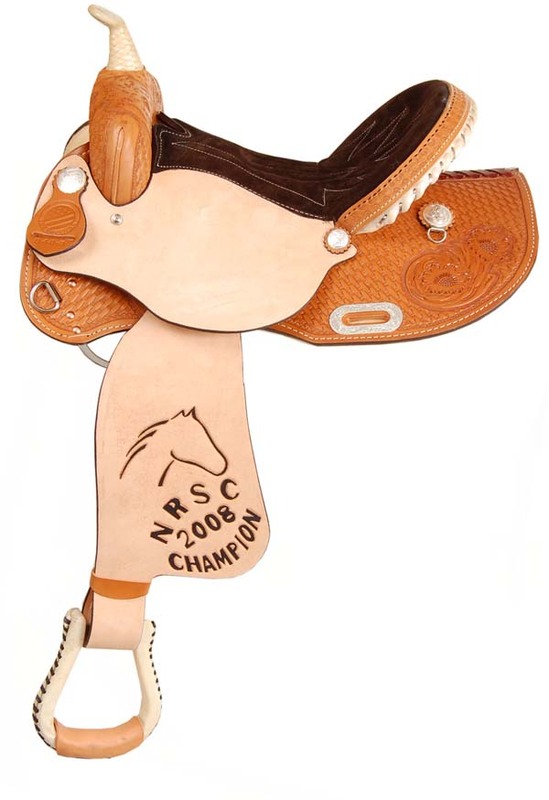 Call 800-251-7288 for expert help in chosing the right saddle for your trophy saddle! 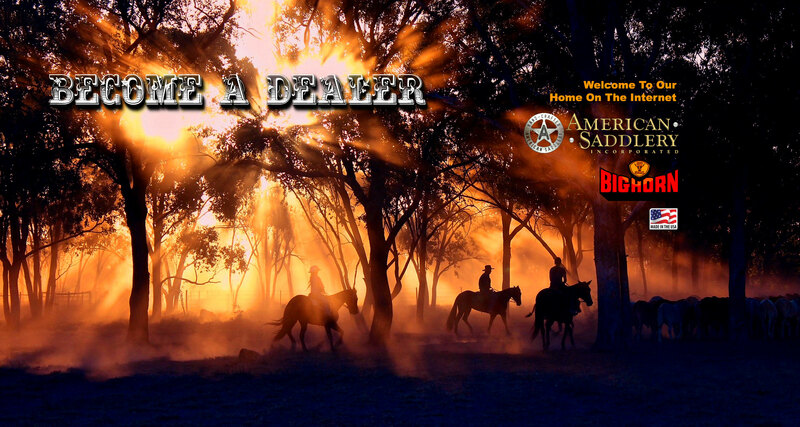 American Saddlery / Big Horn / ShoTan Leather will be closed Thursday Feb 21 & Friday Feb 22. We will return to work on the following Monday. He was born January 4, 1932, in Blairsville, Georgia, to Edward and Elsie Hughes. He was in the Air Force from 1951-1955. 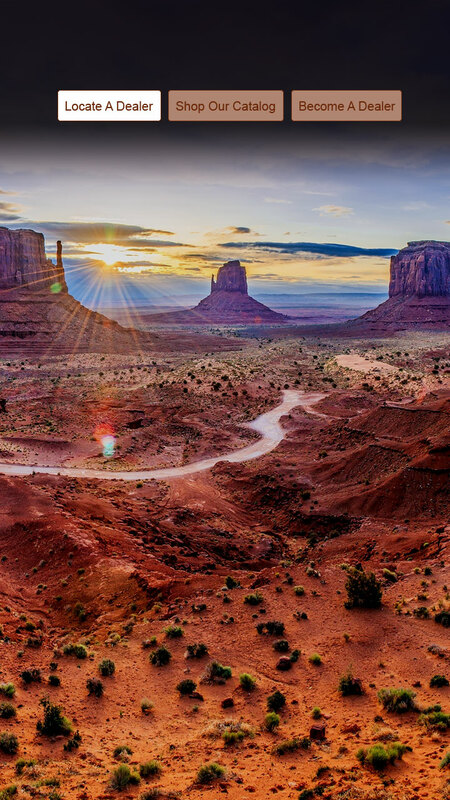 He founded American Saddlery in 1974 and later added on several other companies, including Big Horn and ShoTan Leather. He is survived by his wife of 66 years, Mildred Hert Hughes; daughter, Debbie Hughes; son, Andrew (Kimberly) Hughes; grandsons Jarrod (Katie) Nunley, Levi and Ian Hughes; brothers, Richard (Midge) Hughes, Don (Frankie) Hughes, Royce (Muriel) Hughes, Paul Hughes and many nieces, nephews and cousins. Jack was preceded in death by his parents, Edward and Elsie Hughes, and his sister, Helen Cook. Funeral services will be at 2 p.m. Thursday, February 21, 2019 in the funeral home chapel with the Rev. Drew Tankersley and the Rev. Ron Perry officiating. Interment will follow at Lakewood Memory Gardens with military honors. Visitation is noon to 2. If you wish - in lieu of flowers, donations to South Seminole Baptist Church in East Ridge, Tennessee or to Gideon's International are requested by the family. Arrangements are by the East Chapel of Chattanooga Funeral Home, Crematory and Florist, 404 S. Moore Rd., East Ridge, TN 37412.